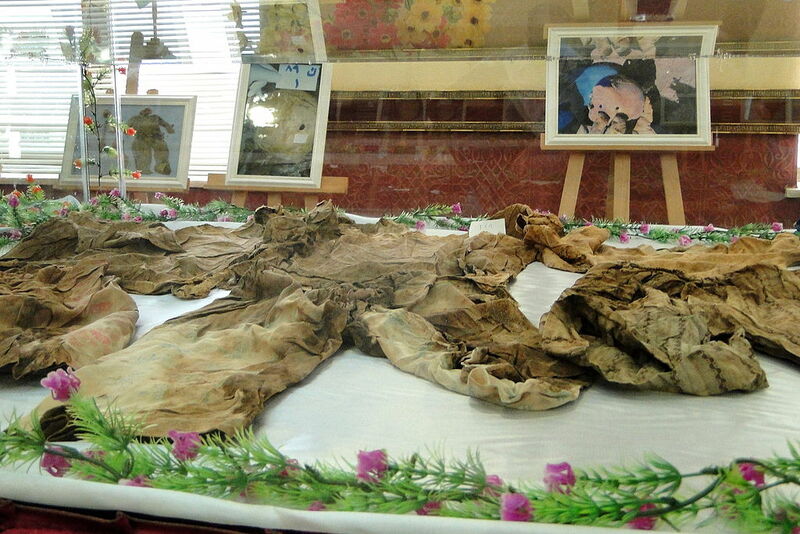 Joy and happiness permeated the air in Halabja. Smiles never faded from the lips of the ever oppressed people of this town. and some hours later the news came that Khormal, too, had suffered chemical bombing. The sound of laughter died down. Children sought the shelter of their mothers’ arms. March 16, was the beginning of the great crime of history. In every street and alley women and children rolled over one another. The sound of crying and groans rose from every house in the town. and poisonous gases did not even allow them to rise from their beds. 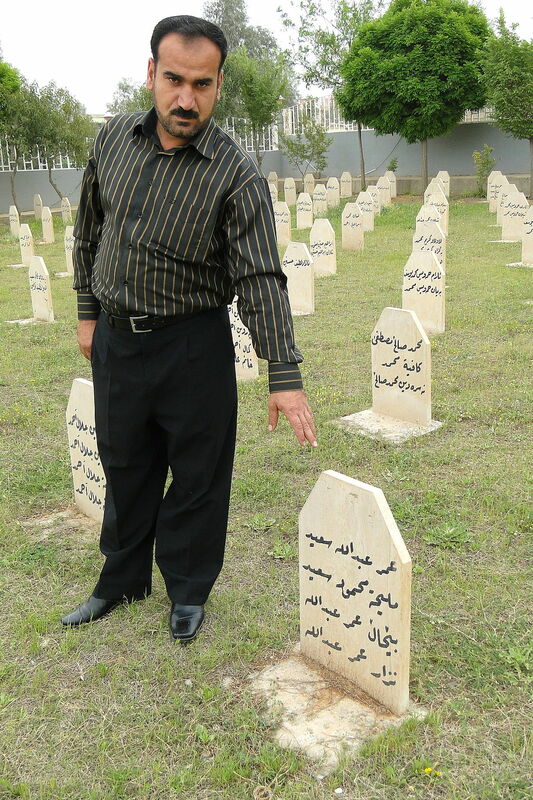 March 16, 1988: A chemical weapon attack on the civilian population of Halabja killed an estimated 5,000 persons immediately and injured another 7,000 – 10,000. 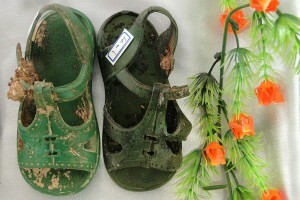 In the aftermath of the attack, thousands more died of complications, disease and birth defects. The attack was and remains today the largest chemical weapons attack against a civilian population in human history. “Survivors spoke most often of the gas smelling like sweet apples, but others said it was more like garlic and still some others like the gas used in a kitchen stove. This suggests multiple chemicals were used, including mustard gas, the nerve agents sarin, tabun and VX. Some victims died almost immediately, others were laughing as they died; still others experienced intense burning, blistering and vomiting,” Anwer writes. Topographical map of Kurdistan – Iraq. 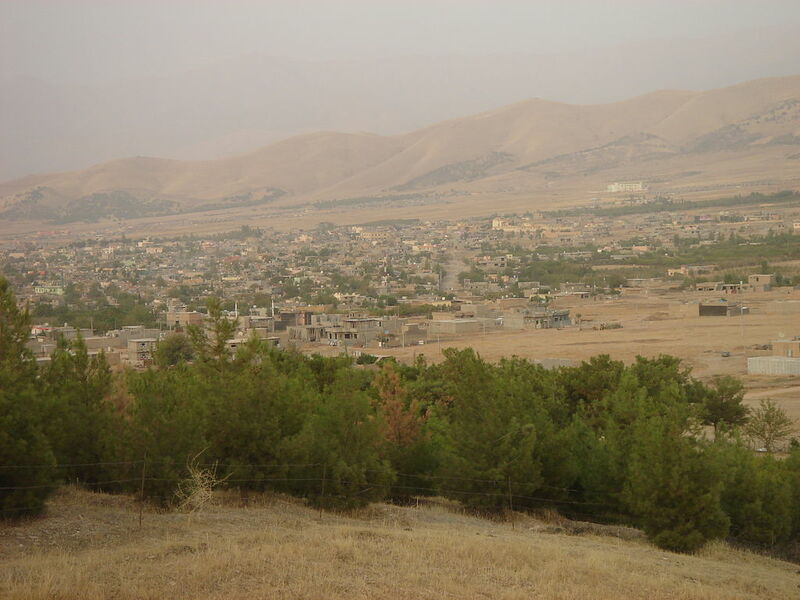 Halabja is on the far right, in the mountainous region. Note location in area to trap the chemicals used. Public Domain via Wikimedia Commons. the displacement of over a million of the country’s estimated 3.5 million Kurdish population. “(There is legal and convincing proof that) the Kurdish population meets the requirement under the Genocide Conventions as an ethnic group. The court has no other conclusion than that these attacks were committed with the intent to destroy the Kurdish population of Iraq,” declared The Hague in a court ruling from December of 2005. We have talked about this issue in a previous story, Honor and Dignity. The struggles of the Iraqi Kurdish population, like that of all Kurds living in the region, continues to this day. Finding a solution rather than a continued assault on what has become recognized as the largest ethnic group on Planet Earth with no borders, no home, no country and no rights becomes the DUTY of the world. Current estimates place the Kurdish population at 30 – 35 million people. Since this tragedy, the world has continued to witness the use of chemical weapons to exterminate populations. March 14, 2014 marks the 3rd anniversary of the Syrian crisis, also involving the use of chemical weapons against Kurdish and other populations. These attacks are carried out by government forces. The Ghouta chemical attack occurred on August 21, 2013, during the Syrian civil war, when several opposition-controlled or disputed areas of the Ghouta suburbs around Damascus were struck by rockets containing sarin. Hundreds were killed in the attack, which took place over a short span of time in the early morning. Estimates of the death toll are upwards of 1,729 fatalities. Genocide is the worst dimension of despicable behavior the human race can sink to. It has no justification in ethics, morals, religions, war, terror or policies. Occupy World Writes joins all those who call for an end to this crime against humanity, and we support a resolution marking this day as International Day Against the Use of Chemical Weapons, so that the world never forgets the injustices that have been administered on innocent victims and brings honor to the victims of Halabja. We call on the international community to recognize the need for an immediate solution to “the Kurdish Problem.” This would help alleviate pressures in Syria, called Rojava by the Kurdish people, or Western Kurdistan, Northern Kurdistan, the Kurdish area in Turkey; Southern Kurdistan, the Kurdish area in Iraq; and Eastern Kurdistan, the Kurdish area in Iran. We implore the world to find a means to an end of genocide the world over immediately, and those responsible must be brought to justice. For a completely separate perspective on Iraqi children suffering to this day from the Bush Administration’s policy of “Mission Accomplished,” read Weapons of Mass Destruction. This entry was posted in Government, Human Rights, Kurds and Kurdistan, War Crimes and tagged Anfal Campaign, Atrocities, Genocide, Halabja, Human rights, International Agreements, Kurdish people, Kurdistan, War Crimes on March 16, 2017 by MNgranny.